Rashford out, Hudson-Odoi praised and Pickford content... and confirmed a starter on Friday. There will be live text commentary and BBC Radio 5 Live commentary of Friday's match against the Czech Republic. Southgate on potential call-ups: "We will have a look where we are after the game tomorrow. At the moment that is not our intention but if we lose anyone then we might consider it. It would probably be someone from the U21 group." And more on Hudson-Odoi: "He doesn't look phased by it. That is young people today. They have great belief and confidence in their ability. It is also credit to the rest of the group. They make others feel settled. The beauty of St George's Park is that players don't feel it is a huge shift to come play with the senior team." Goalkeeper Jordan Pickford: "Callum has been top drawer in training. He's come to the training side and been very good. I faced him on Sunday in the game just gone and kept a clean sheet. "It's been four months since we've been with England. It's great to be with us. When it comes to game day we're ready to get the win." Southgate on Jadon Sancho: "I don't see a lack of confidence in Jadon. He is another super talent. There are so many coming through our system. We have to give credit to our club academies. We have loads of creative players. There is real competition for places. If players miss games there is no guarantee they will get back in. It is a challenge for the group." On Callum Hudson-Odoi and the criteria to play for England: "Ability and mentality. People have asked what's the selection policy. In the end the players have to have the quality to play in the shirt. Ideally they will have played a few games for the clubs. But what we see is people in different positions, and there is no hesitation we will play someone we think suitable. "I have no hesitation to play him." Southgate on Marcus Rashford: "He has been with our medical team all week. He did some running but it is clear to us he won't be ready for our matches. He is out of the two games. "We knew from a couple of days ago he wouldn't be ready for tomorrow. It is a good opportunity for the others. We have lost a lot of players but it is an opportunity for others. We are looking forward to watching the team play." England goalkeeper Jordan Pickford: "It is great for me (getting picked). Apart from Newcastle game I have been in good form. I then put in a good game against Chelsea, which shows my mentality. I have been training well all week. "As a squad we know how good we are. We need to focus on ourselves and get the three points." Southgate: "When I've looked back over the two years over who scored the important goals and contributions, the squad has had to be involved. We've always had four, five, six players missing. "There will be people who have not played often but all will be ready for England." More from Southgate on Declan Rice: "Our messaging doesn't change. Declan's statement is consistent with that. We are against any of our supporters taking up that stance. I don't think anything changes from an England or FA point of view. "I think people understand. Most people will have children of those kind of ages. They are still maturing. You can get giddy or say things you don't know much about. Our fans or our public will understand that fact." Southgate: "Hes apologised. It's not representative of what he believes and what he feels. Outside of that it was when he was 15 or 16 and engaged in conversation with friends. "We've probably said things, written things that would look different several years later." Southgate says Marcus Rashford will not be involved in the matches against the Czech Republic and Montenegro. 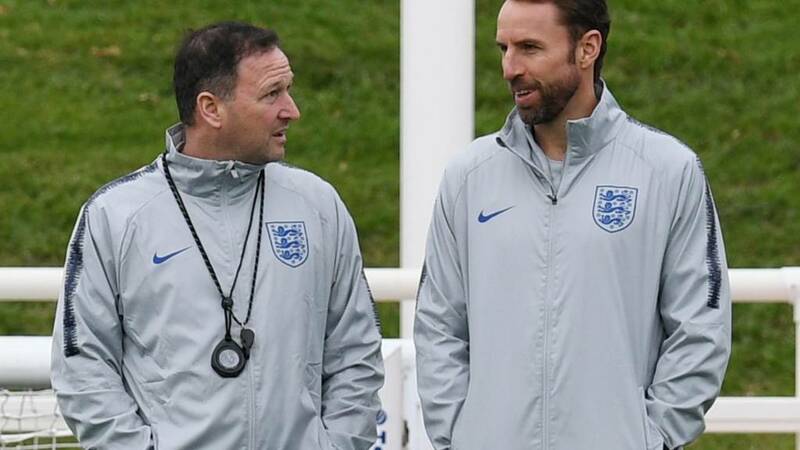 It's been a pretty decent few months for Gareth Southgate's England and now they begin their quest for Euro 2020 qualification with a match at Wembley against Czech Republic on Friday. Just when you thought that it might be another relatively tepid England presser somebody digs out a Declan Rice Instagram post from 2015, which the West Ham player has consequently apologised for. No doubt that will be discussed. And what about the England injuries?!! Marcus Rashford could join the list of casualties in recent days.